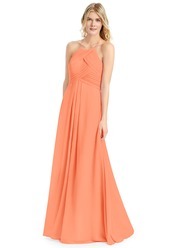 - V neck dress features a side zip at back. 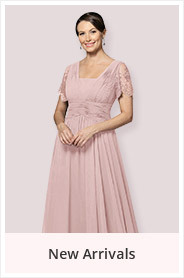 Heloise is a knee-length dress made in gorgeous chiffon with a lace back. Heloise features an A-line cut and a side zipper. Available in full size range (A0-A30) and custom sizing. 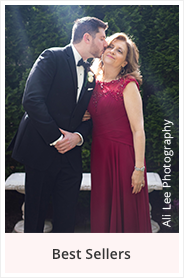 What kind of fabric is this dress specifically in the waistline? does it have any stretch at all? 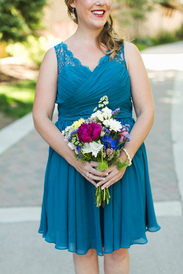 The Heloise is made with lace straps and a chiffon bodice and skirt. There is no stretch in any of the fabrics used to make this dress. 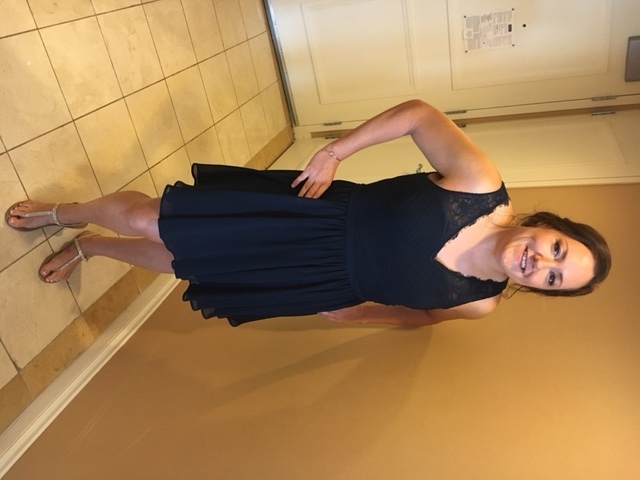 This dress came just as pictured! The fit was perfect, and I didn't have to get any alterations. 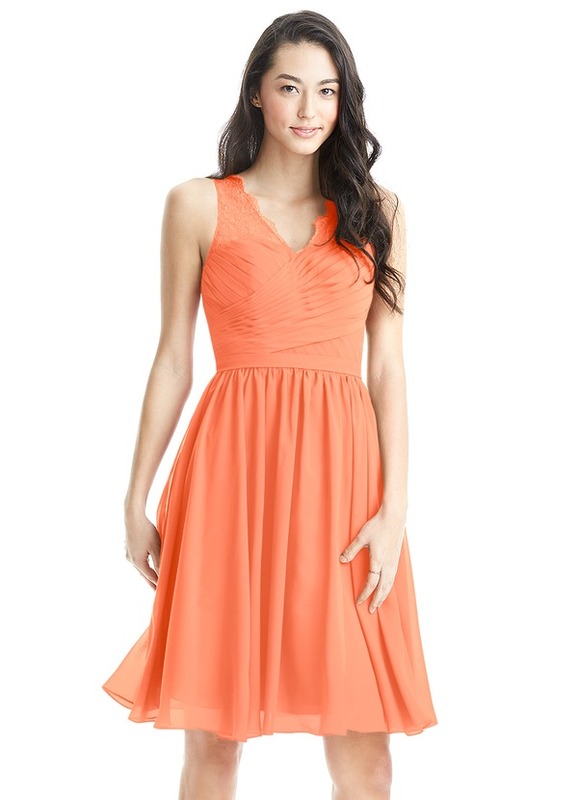 Perfect bridesmaid dress, beautiful, and great quality. 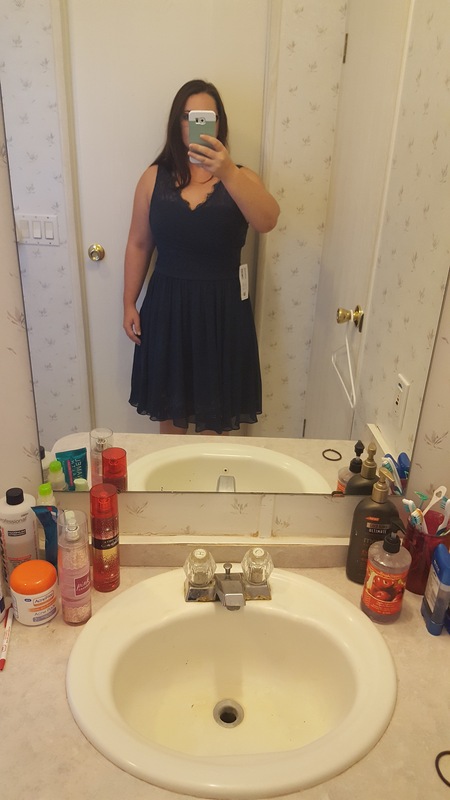 The dress was absolutely gorgeous, I couldn't have been happier with my purchase. The dress arrived earlier than specified in a garment bag for protection. The dress fit perfectly, no alterations were needed. 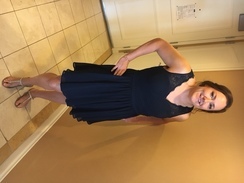 I felt so beautiful and comfortable in the dress. 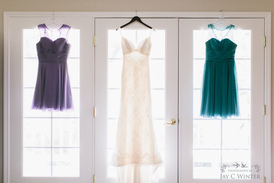 If I am lucky enough to be a bridesmaid again I will definitely be purchasing one from here again. 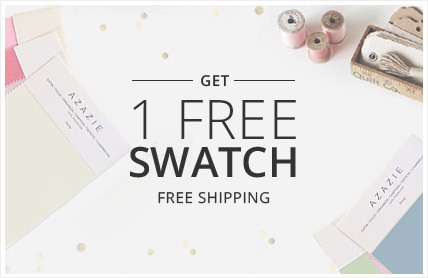 Thank you Azazie for the convenience and quality of product you offer! 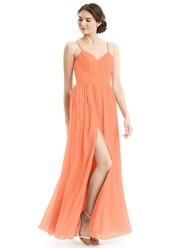 I can wait to wear this for my friend's wedding and to have my bridesmaids choose from your many options! Thank again. This sample dress came with a totally different color on top then then actually dress color, as in, the fabric didn't match! not only that, but the shoulders were horrible and were crooked. 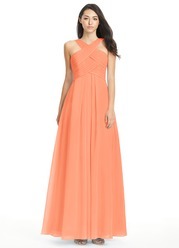 Did not want me to order this dress! 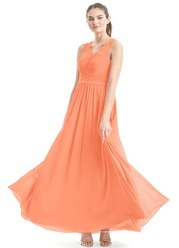 I think the Azazie bridesmaids dresses are in general poor quality. This one is no exception. First of all, it makes me look fat and matronly. It's the opposite of flattering. Second, the quality of the tailoring is poor. The bodice looks a little lumpy because the fabric of the cups has random wrinkles and slight puckers. The bodice cups are a little pointy, and they're not very stiff, so they don't hold their shape well. The stitching is a little sloppy. Overall the dress just looks cheap. 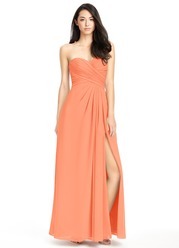 The dress is made in China, fyi, and it doesn't seem to be any kind of high-end Chinese product. 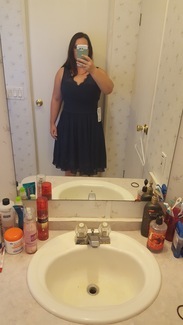 I ordered 2 other Azazie dresses to try on as well, and they were just as poorly tailored (although one of them, the Karen, was more flattering). 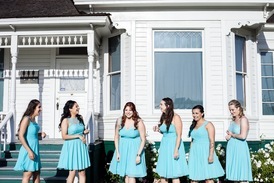 I get the sense that the Azazie dresses are basically just rip-offs - very cheaply made dresses that might be more affordable than other bridesmaids dresses on the market, but probably cost $10 to make. They are significantly inferior to H&M dresses, if that gives you a benchmark for the quality. 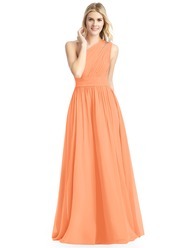 I ordered this dress thinking that because it was a bit pricier thannoothers, the quality might be a little better. I was wrong. Poor quality, poor fit. The chest/breast area is huge! It is not representative of the picture. I did order a standard size (not custom) because I do have a normal shape, most things fit naturally. To make matters worse, I was away from home when it was delivered and missed the 10 day return policy. Now I will have to spend additional money to have it altered. I also started looking at other reviews for other dresses and this seems to be a common theme. This fit horribly. 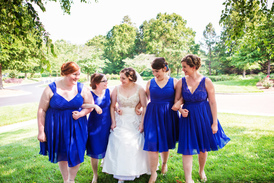 The bodice just has too much dress, but was snug around the middle so I could not order another size down. The skirt was too long by 8 inches, and the top lace looked cheap and was far too loose. This is a pretty dress but I'm large-busted and it made me look even larger busted. Not super flattering for me. Also, the lace is very thick, so there's not as much of textured effect. 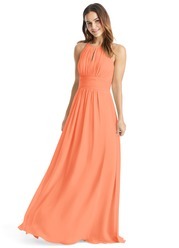 I think this might be prettier in a lighter color or for someone with a more medium/small bust.